Welcome to AL 2 Salvation New & Used Clothing Store. 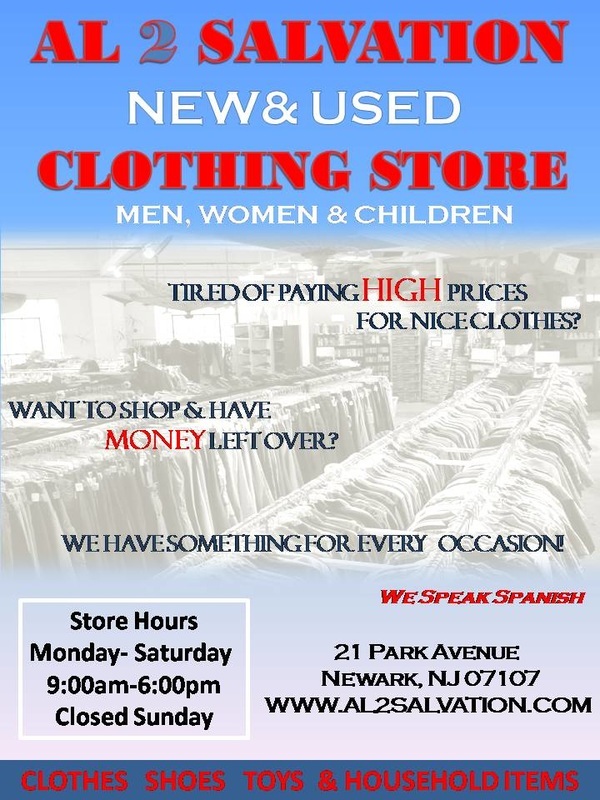 We sell a variety of quality pre-owned Men and Women New and Used Clothes, Shoes Jewelry and Household Items. Stop by today where you can shop and leave with great clothes, shoes jewelry or household items and have change left over!